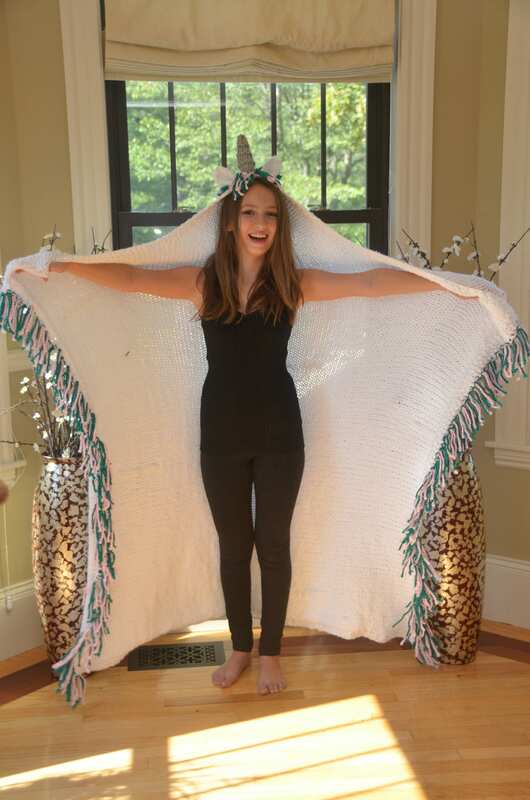 Who doesn't want to be a unicorn sometimes? 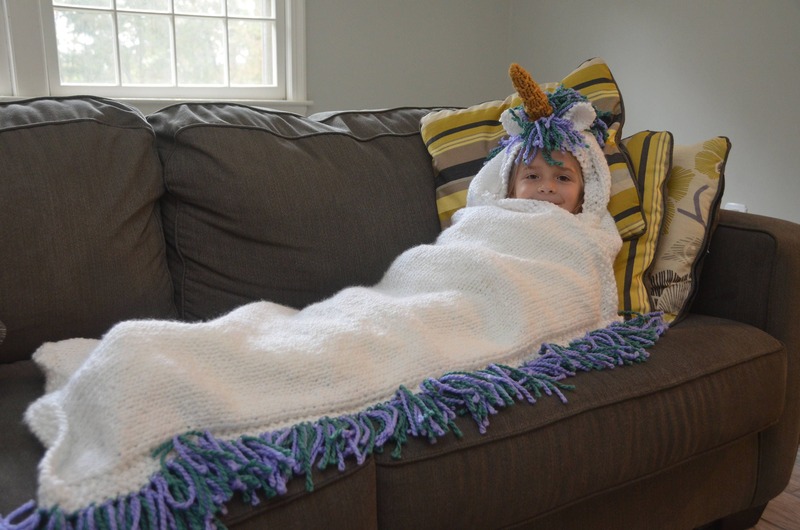 Well, now you can with this snuggly hooded unicorn blanket. Put the hood on, and wrap yourself up! Infant size is for babies age 0-12 months, and is approximately 28" wide and 24" long. 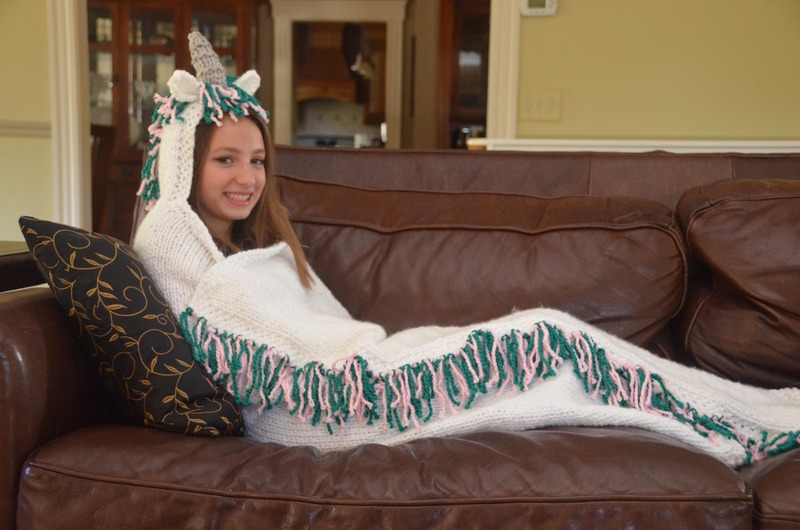 Size small is approximately 45" wide and 40" long (recommended for kids aged 3-7). Size medium is approximately 49" wide and 48" long (recommended for kids aged 8-12). 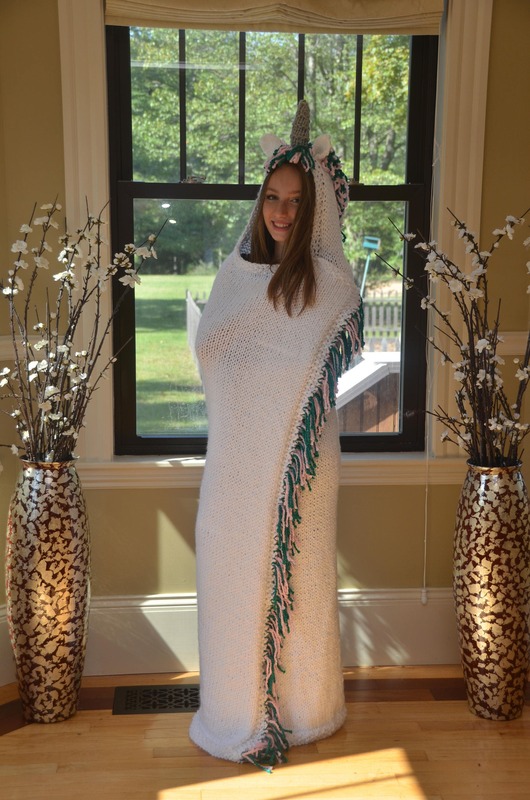 Size large is approximately 57" wide and 60" long (recommended for teens/adults). Blankets/hoods are done in white. 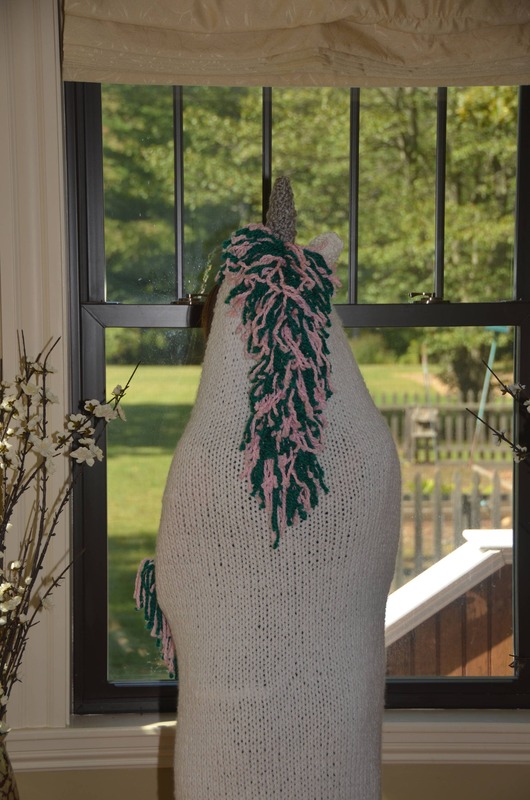 You can choose from two accent color schemes: silver horn with pink and green mane/fringe, or gold horn with purple and teal mane/fringe. 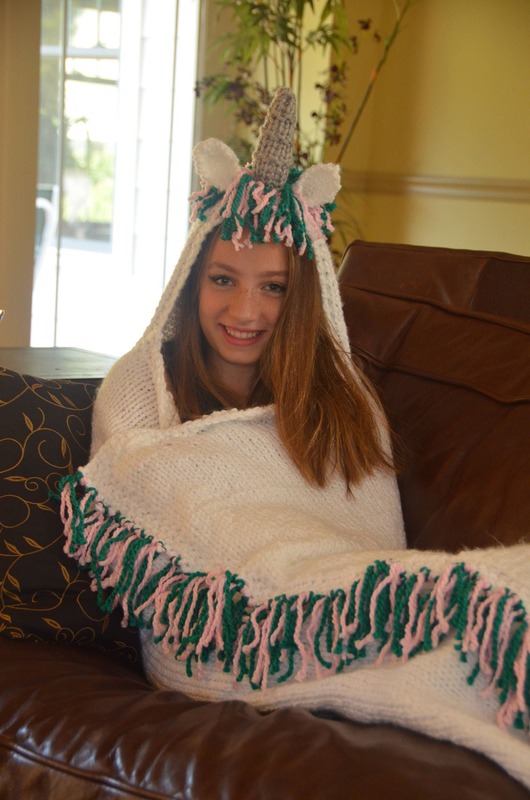 Made from 100% acrylic yarn, machine washable. While the yarn is technically machine dryable, I recommend laying it flat to dry. Payment is accepted through Etsy Direct Pay. Once payment is received, your item will be shipped. Items will be shipped via USPS, but expedited shipping is available at an additional cost. Please contact me for additional shipping information. Pre-made and non-personalized items may be returned in their original condition within 7 days for a refund of the item cost, shipping costs are non-refundable. Non-personalized items may be exchanged if returned in their original condition within 7 days; purchaser bears all shipping costs associated with exchange. Custom (made-to-order) items are not able to be exchanged or returned. Custom (made-to-order) orders may not be cancelled for a refund once work has started on those items. Any custom (made-to-order) order may be cancelled for a full refund if materials for your order have not yet been purchased by me. Please note, however, that I generally purchase materials immediately after I receive your order. If materials have been purchased, but work has not yet started, you may cancel the order and receive a 70% refund. Digital items (e.g., patterns) are non-returnable. All digital sales are final.